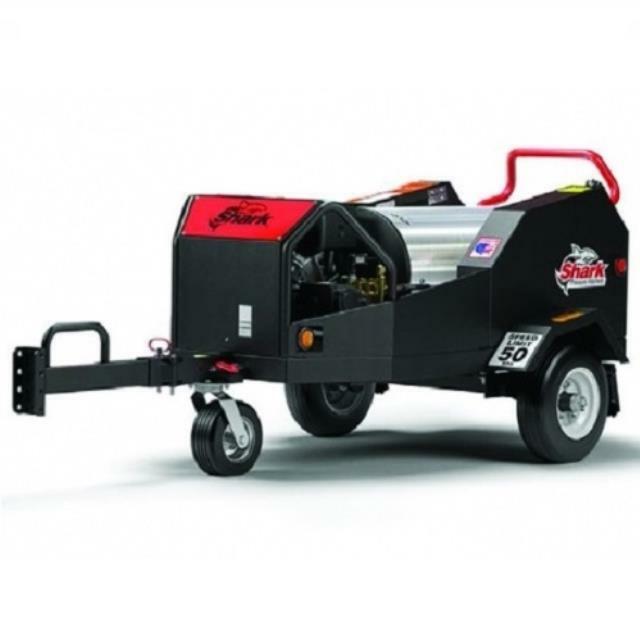 A towable, easy to maneuver hot water pressure washer trailer, offering a reliable Honda GX engine, electric start with manual start backup, 8 gallon diesel fuel tank, highway rated 13 pneumatic tires and controls that are located on the curb side of the trailer. This mobile wash system is easy to use with only 2 switches to operate, adjustable bracket and multiple hitch configurations for various vehicle heights and a lift handle and swing away tongue. Use to pressure wash oil, grease, grime and more effectively. Click here for video Video is not intended to replace full safety and instructional information found in the operator's manual. Click here for the Shark SMT354037E operator's manual.